Nobody except the postman and occasional Jehovah’s Witnesses uses our front door. Everyone comes round to the back and rings on a bell which has “Titanic” ominously engraved on it. I feel slightly guilty that even the milkperson has to traipse round to the back door at 5am. 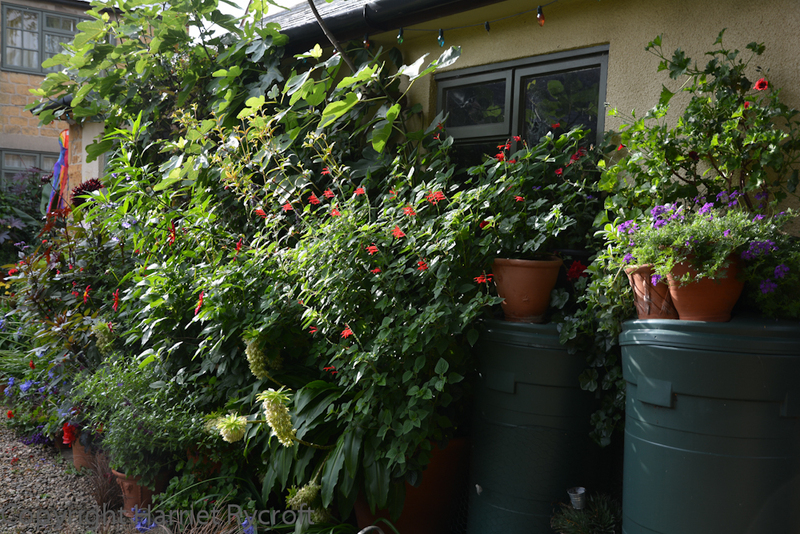 This is where the cat has daily fights, it’s where collared doves flirt, hedgehogs snuffle and an extremely cheeky squirrel eats all the hazel nuts before they are ripe. It’s where guests arrive and depart and get hugged. 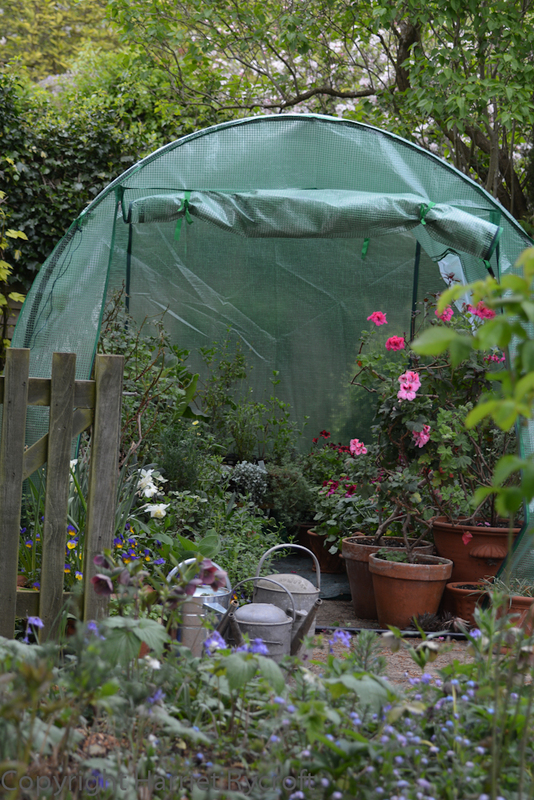 This year I crammed a mini polytunnel between the shed and the greenhouse too. A valuable hardening off facility. 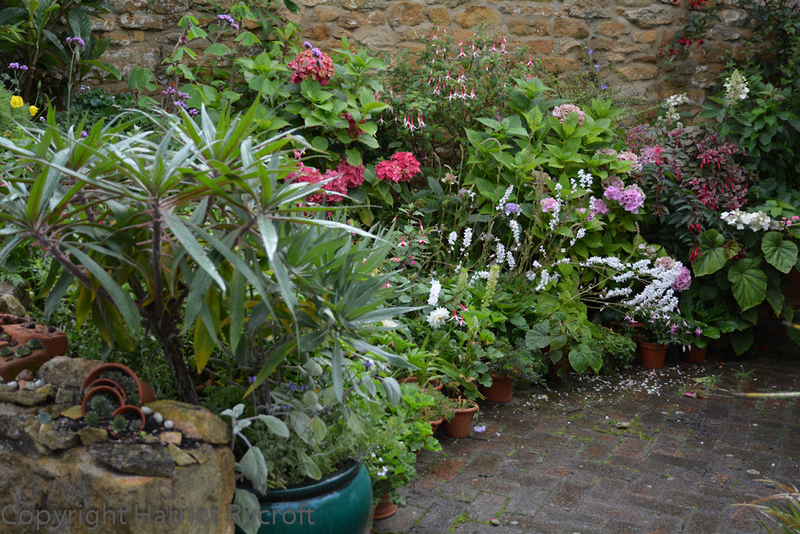 Under the yew tree – another useful space for more hardening off and potting on early in the season. Little car hiding. 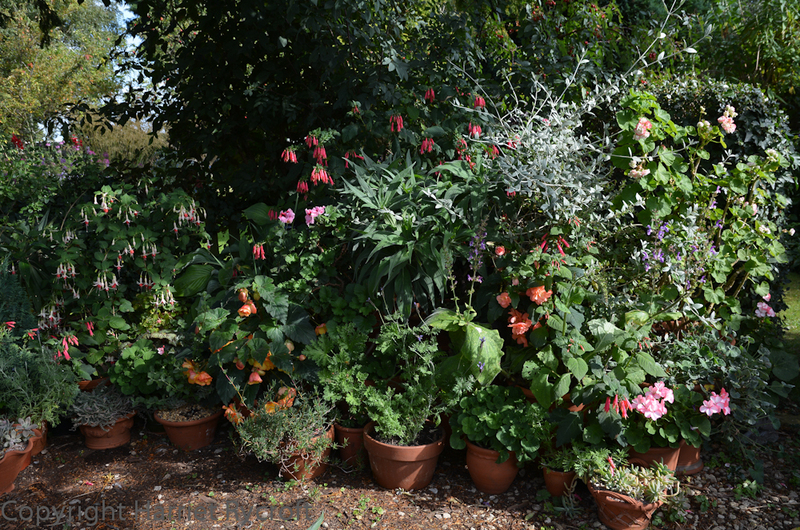 All the plants in the foreground are in pots. 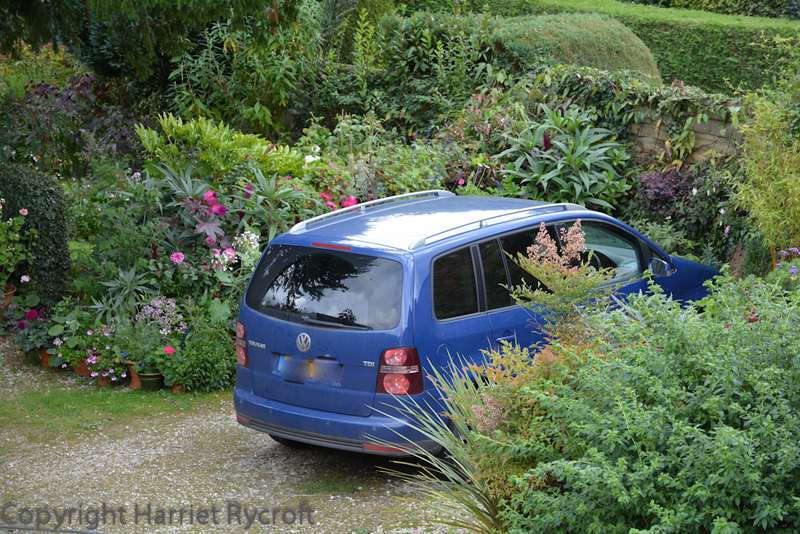 Unfortunately this prime gardening space is also a car park. Both of the family cars live back here, encrusted with varying amounts of mud, yew pollen, bird excrement and cat footprints. The little one gets to hide in a ramshackle car port at the back of the garage (which is of course full of junk, not cars), the big one nestles among pots. We’re all quite good at turning cars in tight spaces now, our two sons were aware from the start of the L process that I’m not bothered by the odd dent in the car but a three point turn which results in a smashed pot is not acceptable. 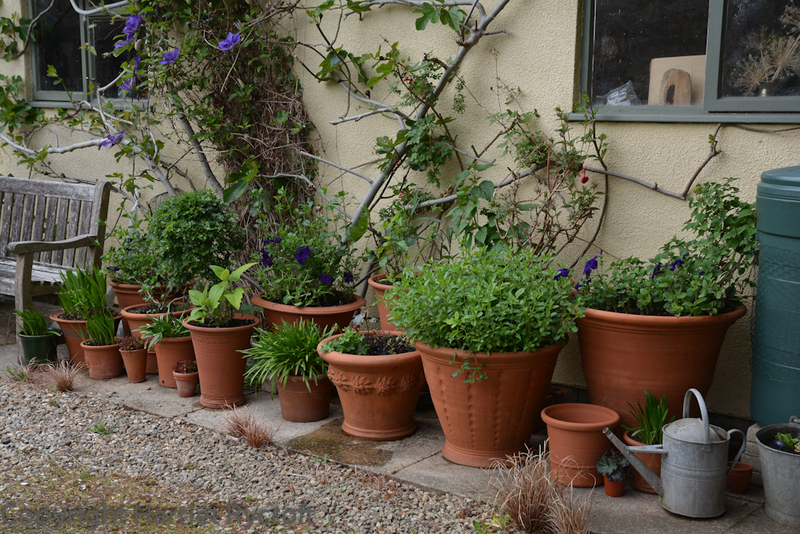 Most of my terracotta pots are seconds from my old job, they may be cracked or misshapen but I still don’t want to lose any. A three-point turn to get out of here involves reversing so that your rear passenger-side lights nearly touch the door. This can make first-time visitors quite nervous. 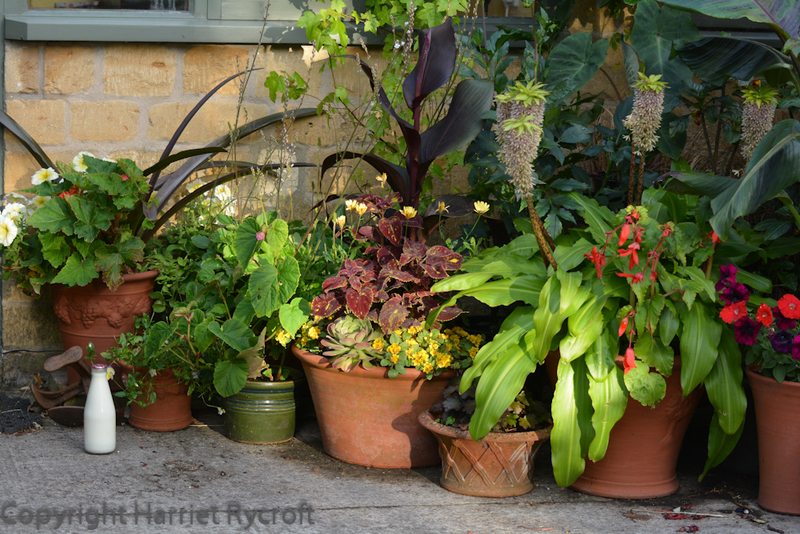 I cram the pots together, partly for their own safety, partly because this means I don’t have to water them so much. 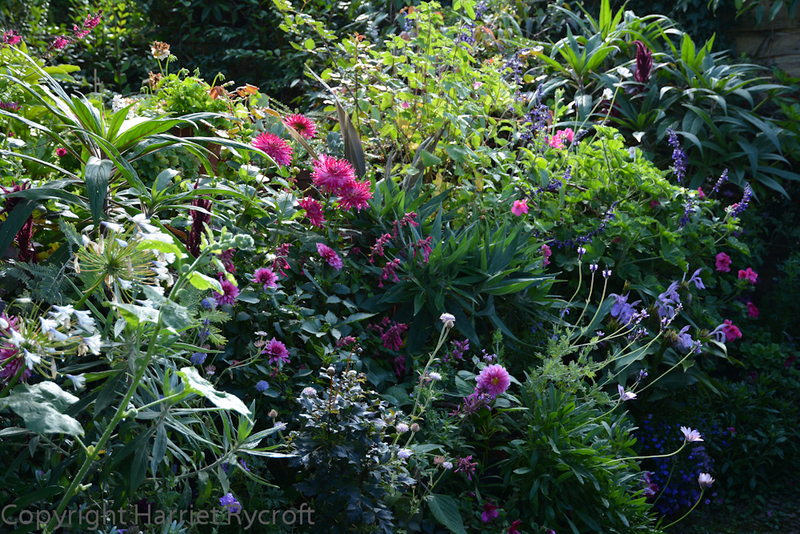 Each group knits together eventually and forms a quasi-flowerbed. 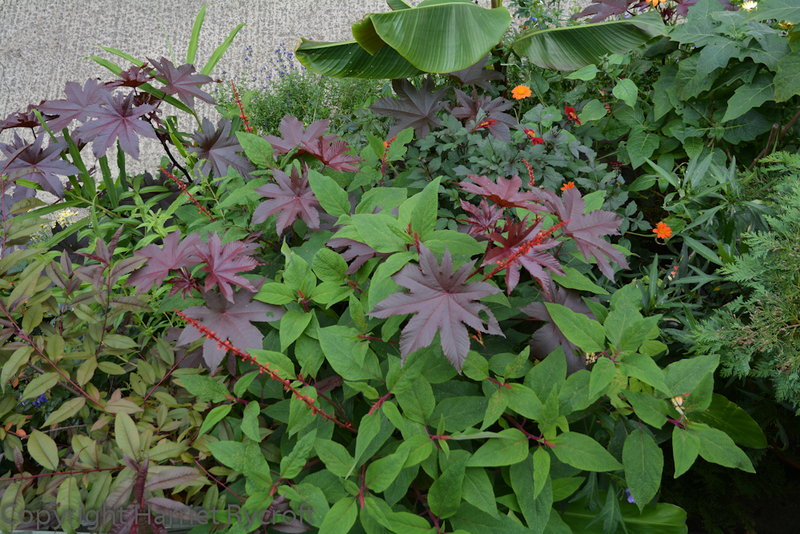 As in a flowerbed, some plants get overgrown by others, but I like to let plants overflow and fight it out between themselves. 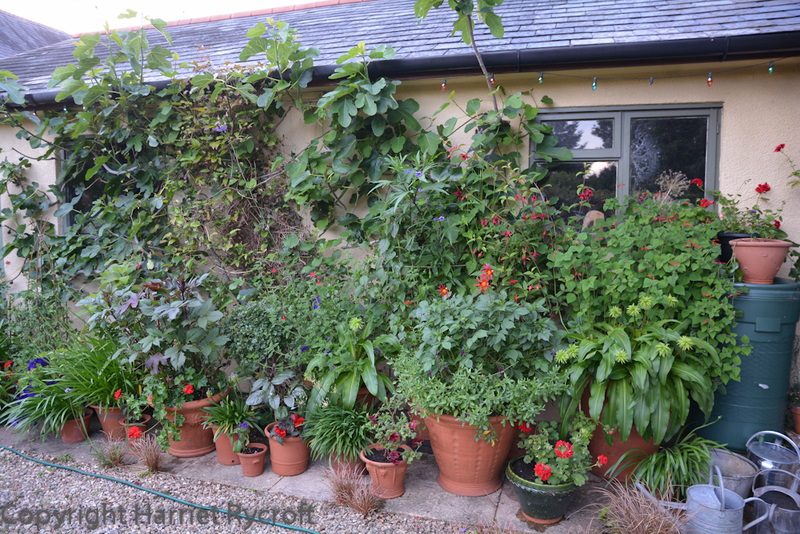 Sometimes I move something which is endangered or which just looks wrong, but most of the pots stay pretty much where they were first planted until the end of the season. 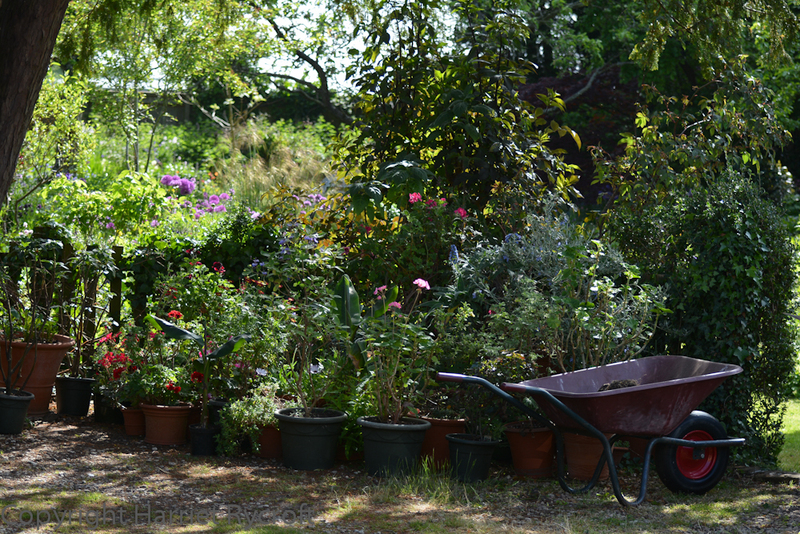 In the course of a year the pots ebb and flow a little: small waves lap at the edges of the space when replanting happens in late spring/early summer, and high tide occurs in late summer and early autumn, when maximum care is needed by the driver. July. The rising tide has swept away the bench. 1 September, almost high tide. King Canute must hold the pots back or there will be trouble. You come down the short driveway and take a sharp right, behind the house. Not so sharp as to clip the first backdoor pots though. Don’t get distracted by the jungle to your right or the collection of ferns, bright begonias and the strange topiary bird outside the kitchen ahead of you because you need a sharp left. On turning left you keep as close as you dare beside the garage pots and then swing right to squeeze next to the car park pots. Stop (please) before you hit the pots at the end of the parking space. Try not to hit any pots when you open your door. If you can’t open your door we may need to back up a little. Or you could climb out of the boot. 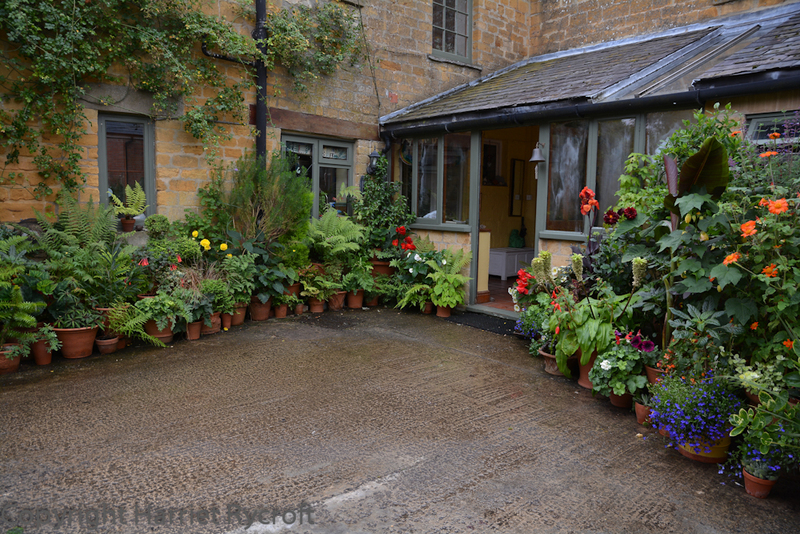 If you get out of the car on the driver’s side you may notice more pots on what used to be a sort of patio outside the utility room. 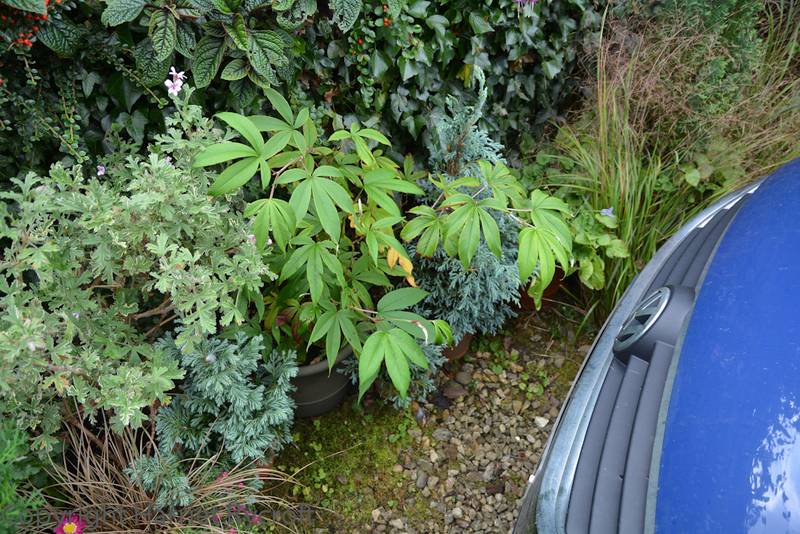 Emerging on the passenger side (and squeezing past the car park pots) you may spot more pots under the yew tree. 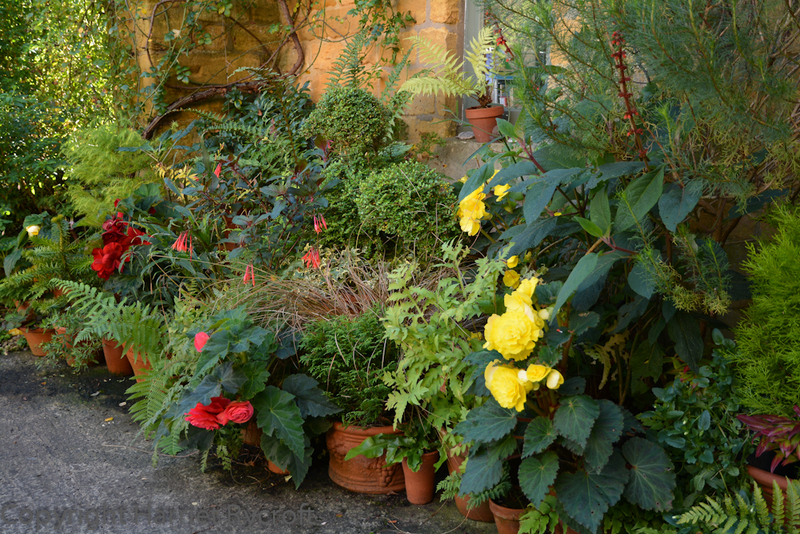 You may be thinking by now that your hostess is off her rocker; if you are a tactful, gardeny sort of visitor and make politely interested noises she will bore you rigid with names and details of this year’s favourite plants. So you may want to grab your bag and run to the back door. 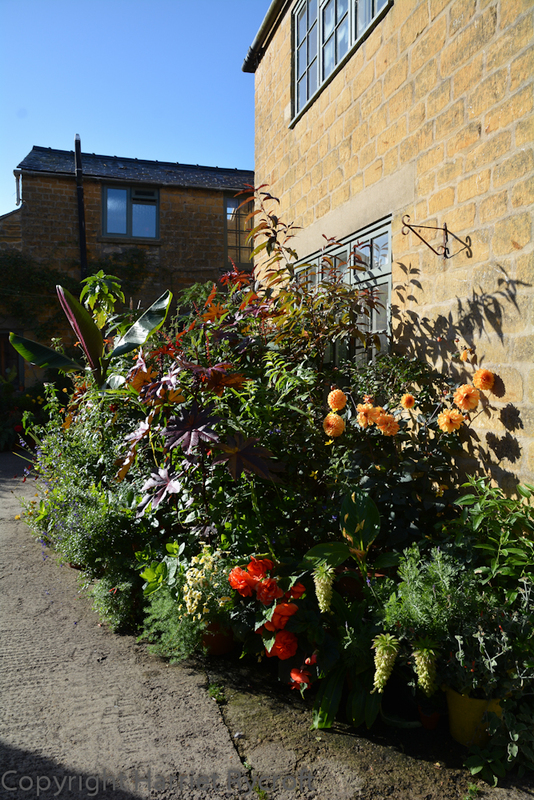 If I have time I’ll do another post soon, focusing a bit more closely on the plants which worked well in the summer pots this year – I haven’t quite finished cramming the tender perennials into the greenhouse, polytunnel, house, and garage – yes THAT’s what garages are for! 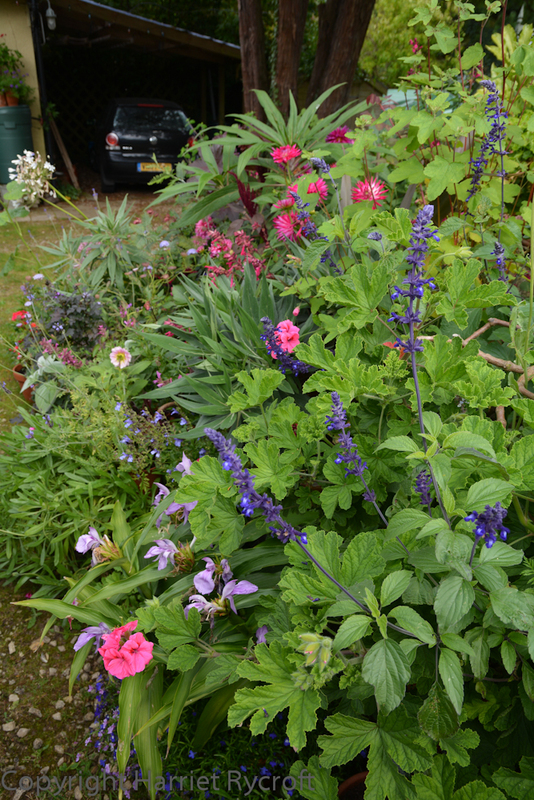 How long do you spend watering and parking! 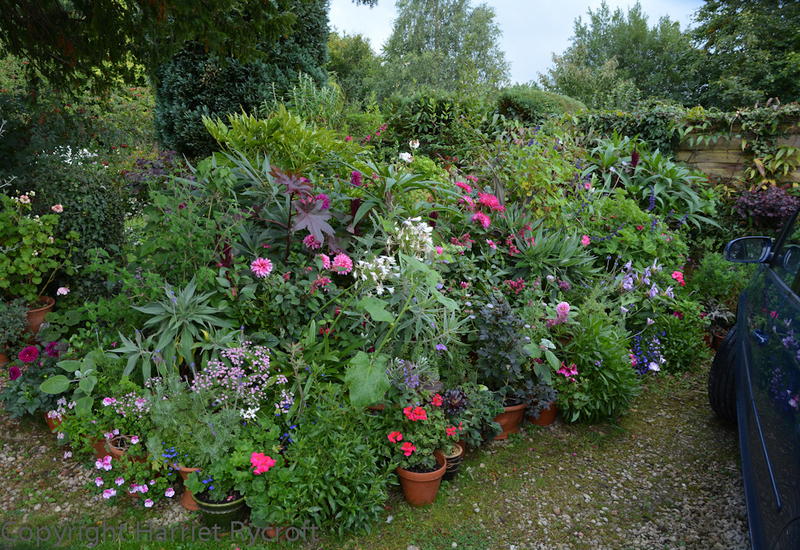 Love your description of the ever expanding pot – beds ! I have a smaller similar thing going on also ! This would be the point I buy a bicycle! 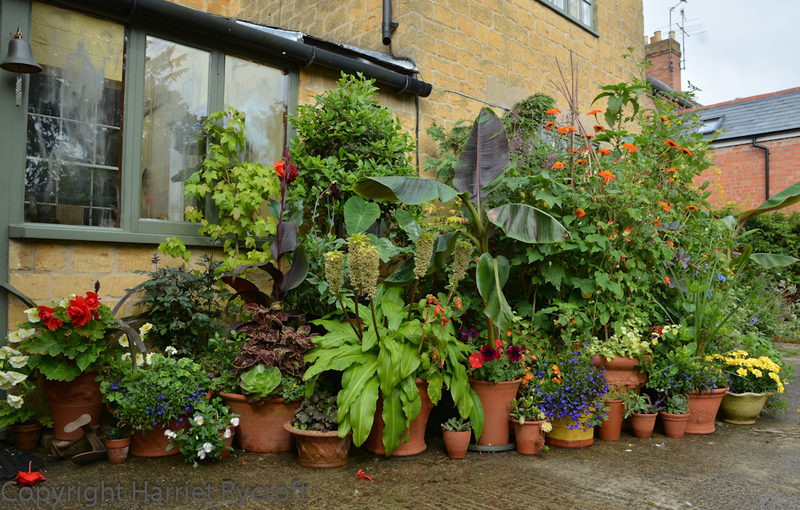 Thanks Jo, I love doing it – and precisely because the pots are outside the back door they get much more attention than the rest of the garden, which is really quite scruffy most of the time! 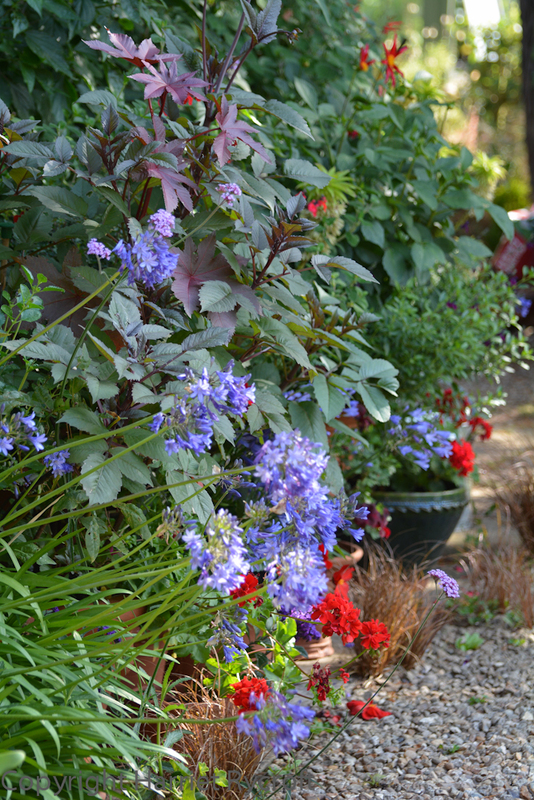 I adore your potted plantings. So lush & inviting. It looks amazing in photographs, I can only image how much more wonderful the impact is in reality. It does look like a ‘normal’ bed when looking down from above. 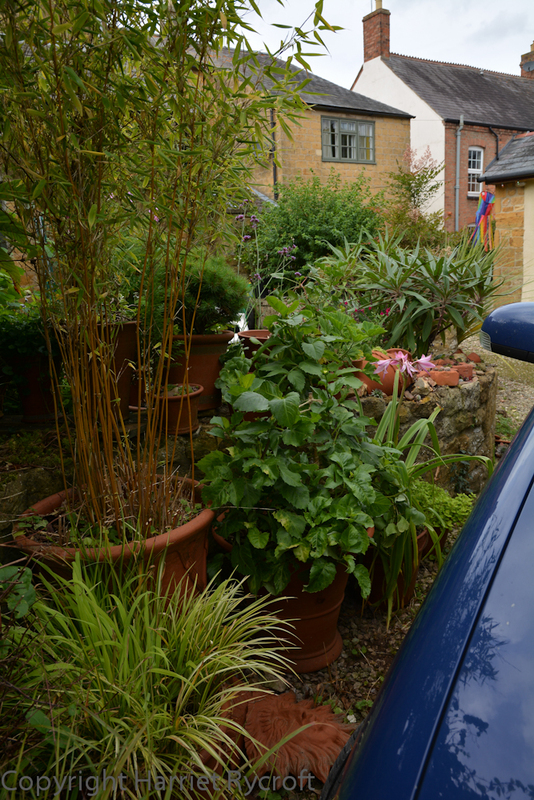 I love that the plants & pots take precedence over cars. Rightly so. 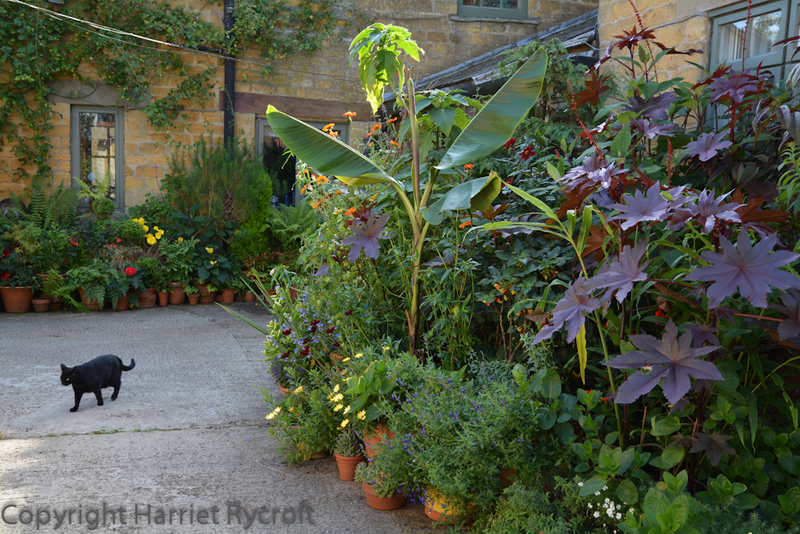 Thank you Julieanne – I think we gardeners have to get our priorities right!